The guitar is possibly the only instrument in jazz without a natural voice. It needs amplification so as to be part of the overall acoustic sound of a regular jazz band. The electric guitar is a dead instrument without electricity. Since Hendrix demonstrated the power of the latter in creating sonic expressivity, the instrument became truly something else. Through rock music, the guitar has become a symbol of machism. None of the other instruments even come close to the number of Youtube clips of young guys demonstrating the speed and complexity of their skills, in the ongoing competitive guitar battle to be the fastest, the loudest, the most energetic, the rawest. Why is that? And yes, it is sometimes amazing what technique they have at a young age. But musical skills? None, more often than not. Why? Because it's not about the music. The kids talk about their guitars and pedals and amps like car afficionados talk about horse power, and suspension, and aerodynamics, ... all very technical and impressive, but it's machism again. It's showing off, with the little kid still inside of them shouting, "look at me, look at, look at me, look what I can do". Because there are today absolutely no limits to what you can do with the sound of a guitar, the real challenge resides in how to control this power to turn it into something meaningful, with new sounds, unexpected sounds, moving sounds, rather than the endless demonstration of technicalities. Clean Feed asked Elliott Sharp to compile the modern jazz guitar album, highlighting some of today's best artists. 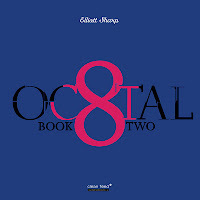 Then there are of course the guys who have barely anything to tell, or at least they play stuff that we've heard so often before, and that leave me quite indifferent : either the blues (Michael Gregory), avant-garde emptiness (Kazuhisa Uchihashi), high speed emptiness (Mick Barr). For the guitar freaks, some technical detail is given too about the mics and amps and guitar-builders, but it's all within the boundaries of acceptability. That being said, most of the tunes are not jazz at all. 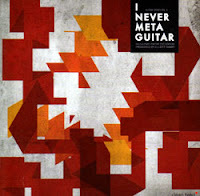 Lots of new ideas and insights into modern guitar playing. Not everything works though, and that's possibly as well. 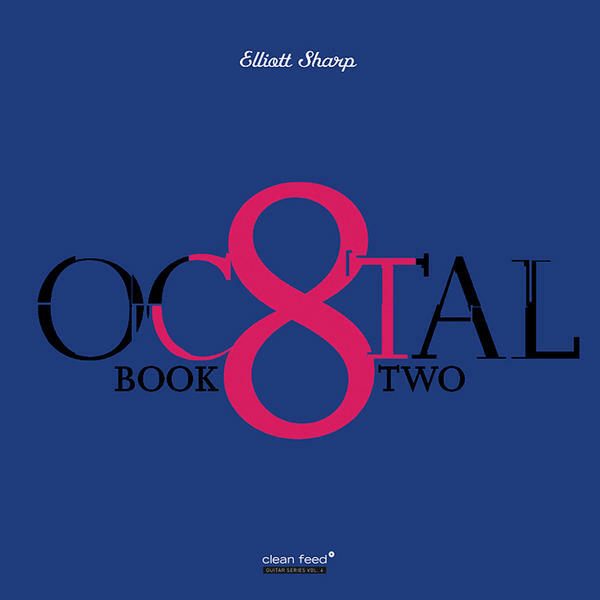 As the sequel to his "Octal, Book One", Elliott Sharp keeps pushing the same envelope, playing little notes on his custom-made Saul Koll 8-string guitar, adding more pretense in his liner notes than ever before "The solo compositions are my most personal and while existing as formal music, they also exist as meta-music: outlines and strategies for ensemble pieces, examinations of orchestration and extended techniques, and most importantly, meditations on readings in various topics but especially in contemporary physics, genetics and mathematics". The guy's not only a guitar genius, he's just a genius "tout court". I cannot keep myself from adding the following from the liner notes : "The piezo was plugged into a very hi-fi K&K Pure Pre-Amp and from there into my all-valve 1980 Fender 75 with a 15" speaker... The 75 was mic'd with a Neumann TLM170 condensor into a Styck preamp and the Pears with a Royer 121 ribbon into a Focusrite ISA220 preamp.A Neumann TLM103 into Sytek channel to gather some acoustic tones completed the picture". Why is it that only guitar-players talk like that? And sure all this may be important and true, you still need the creative musical insight that is compelling to listeners. At the circus you are impressed by the skills of the acrobats, in the theater you are moved by the actors. That's the difference between entertainment and art. I fear the focus here is more on the former. The first track is fantastic because it's wild and unrelenting. The band is Şevket Akıncı and Umut Çağlar on electric guitar, Demirhan Baylan on bass and Kerem Oktem on drums. 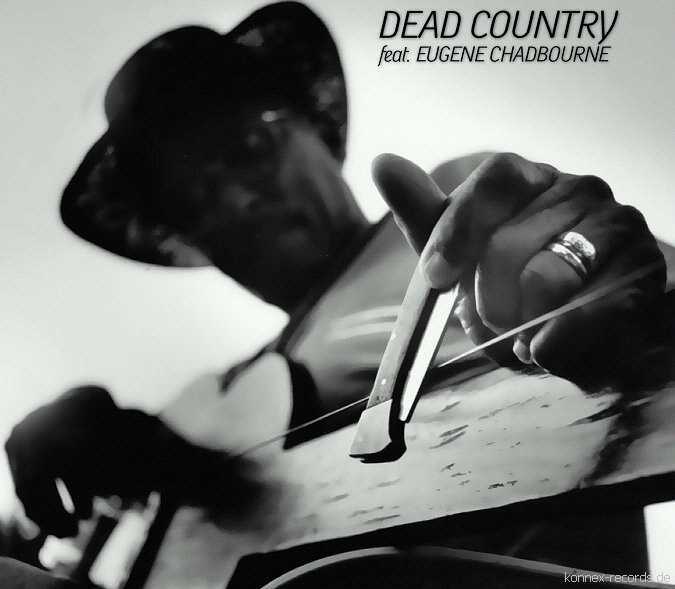 Eugene Chadbourne plays guitar, banjo and sings. The second track leads into total disillusion with the traditional "Mole In The Ground", a bluesy piece played and sung in the vein of Captain Beefheart, but then of poor quality and becoming pretty irritating after a few lines. Somehow it continues like this, sounding like a garage band on speed. I think this band may have been better off without Chadbourne. Also from Turkey, this band has a lot more to tell, and it does it well, with Çağrı Erdem and Umut Çağlar on guitars, Michael Hays on double bass, and Ekin Cengizkan on drums. 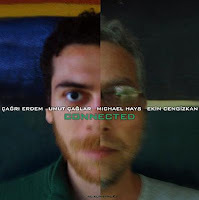 At moments Çağlar looses himself a little too much in the possibilities of his guitar-synthesizer, especially on the first track, but the playing is good, jazz-influenced with a rock attitude. Especially the second piece, "The Flux Identity", is haunting. 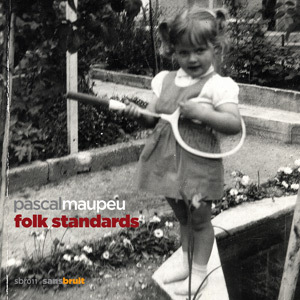 Pascal Maupeu plays acoustic folk blues guitar. An unexpected release from an avant-garde French jazz label, but then of course what would jazz be without the blues. Maupeu's playing is sensitive and precise, and despite the limitations of the setting, it is fun listening to. 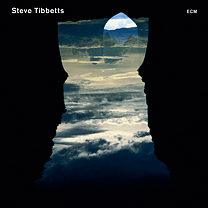 On fifteen pieces of 12-string acoustic guitar with occasionally piano, Steve Tibbetts, assisted by Marc Anderson on percussion, does his best to keep the attention going, but the monotony of the playing fails with me. Sure, his technique is strong, but his compositions are not memorable and you really need someone like Egberto Gismonti's emotional drive, working with volume and rhythm and sudden changes, to be compelling for a mostly solo acoustic album. It is given to very few do bring that to a good end. Maybe I'm too restless for this kind of music. 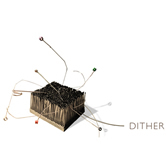 Dither is a guitar quartet from New York, consisting of Taylor Levine, David Linaburg, Joshua Lopes and James Moore. Their music shifts with each track, from the quite minimalist, or all powerful drone with the occasional scream coming out of the background, to bizarre sound experiments and fully arranged compositions. Alright, so what? I am not in a good mood, maybe, and I hate writing negative stuff, but there you go. One message to guitar-players : stop ego-tripping and use your instrument as a device to tell a story, and not as the story in itself. I also notice that there are at least 20 different magazines on guitar playing where many of them has article such as 20 greatest solos ever or 20 greatest guitarist ever and interviews with exact description of what brand they use. Is it the shape or perhaps it connection to rock'an roll.